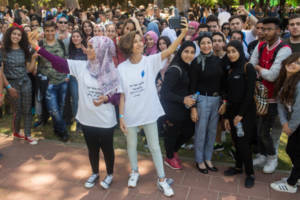 The Bridges for Peace programme is an initiative by the Sci Tech Israel Network led by Ortov and Google Inc., in collaboration with the Peres Center for Peace, the Israeli Ministry of Education and Rothschild Caesarea Foundation, aiming to lay the ground for coexistence between Arabs and Jews in Israel. 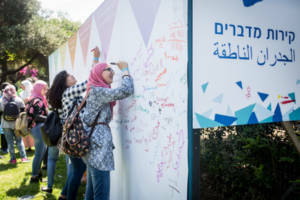 The programme aims to promote shared life in the Israeli society, by bringing together – in real life and online – pairs of Jewish and Arab schools, and empowering their students as educational leaders. The programme has been operating for six years, and so far has encompassed about 3,000 students, 100 teachers and school staff members, and 40 university students. 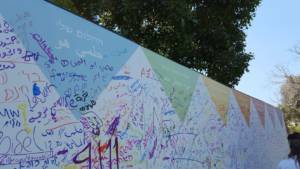 The programme takes place across Israel, from the mixed city of Acre in the North, to the Bedouin village of Abu Talul in the South. 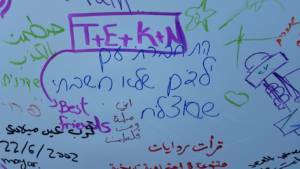 During the school year, students from Jewish and Arab schools get together, get to know each other better, and get a chance to engage in co-creation through seminars, face-to-face meetings, and online meetings using Google Hangouts. The students get a chance to acquaint themselves with “the other side”, and to co-create shared products which address wide target audiences. Recently, all programme participants enjoyed a peak event in the Ramat Gan National Park, attended by some 720 students. The event showcased 12 “entrepreneurship stands” which exhibited projects co-produced by students, and each stand had students from both paired schools who spoke about their product and about the process they went through. One of the notable products was created by students of Sci Tech Bustan El-Marj and Sci Tech Moshe Sharett Nazareth-Illit, who co-designed symbolic cards comprising photos they had taken, with the flip side bearing a word which promotes discussion (both in Hebrew and Arabic). These cards can be used by educators and students for various activities. Another product which gained special attention was co-created by students of Sci Tech Ramla Arab Comprehensive High School and Sci Tech Rehovot. They co-designed communication boards for the use of students on the autistic spectrum who study in the Idud School for Special Education. 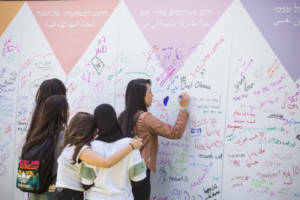 In addition to the products exhibited, the event included “talking walls” on which the students could write their feelings regarding the programme, as well as other activities.